If you are reading this right as it is posted, next week is Earth Week. This is a good time for us to think about how we are impacting our beautiful green planet. Regardless of your views on global climate change, its never a bad decision to re-purpose the old and make it into something new. Let me show you how repairing your old clothes can give them new life-and save you money! 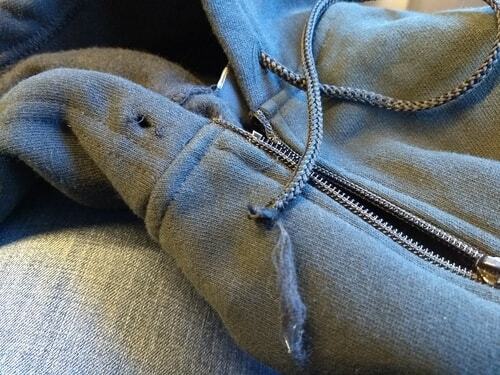 Have you ever lost one end of your drawstring inside the hem of your hoodie or sweatpants? 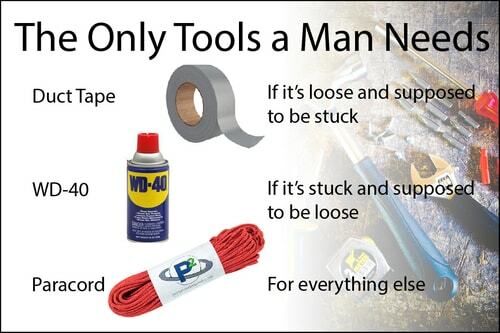 No matter how hard you tried, you couldn�t thread it back through. In a fit of rage, you yanked it all the way out and threw it away. Now you regret it. They were your favorite pair of sweatpants, after all, and now they don't stay up. Well you can stop your sob story right there, and listen up. 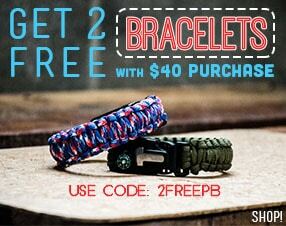 Paracord is perfect for this. It's stronger than whatever you had in the first place, and it comes in so many colors, that you can literally match anything! Now, maybe you are thinking, "Well great, but how do I thread this oh-so-great string back through the tiny little eyelet? That was my original problem anyway!" Calm down, I've got you covered. If your old, worn-out cord is still sticking out both ends, you can sometimes tie the new one onto it and pull it through-if the hole is big enough. If one end is lost somewhere in the middle, you might as well pull it out and start over. Things will go much smother if you use something stiff to push the cord through. If you are replacing your string with paracord, a fid works well. A fid is basically the best thing since unsliced bread. (trust me, bread is better that way) A fid fits onto the end of your paracord and functions kind of like a knitting needle or sewing needle. They are great for working with small knots. If you don't have and don't want to buy a fid, a modified clothes hanger works really well for this particular application. Use a pliers or wire cutter to clip the ends. Then bend a small loop on one end-just large enough for your cord to fit through. 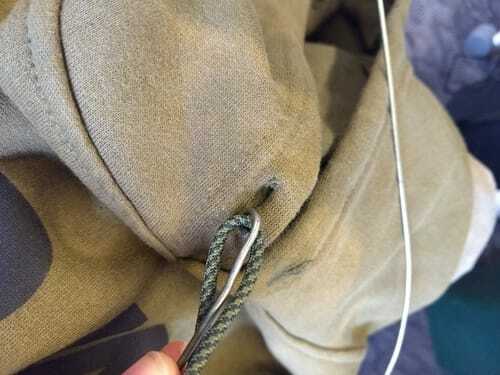 Feed a couple of inches of your new cord through and insert it into the clothing eyelet. 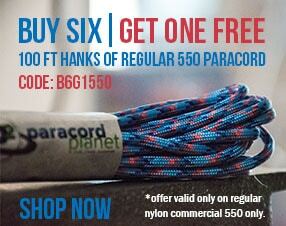 NOTE: paracord will shrink the first time in the wash, so make sure your cord is longer than you need it to be! The bend in your cord should be enough to keep it from sliding out of your makeshift needle. If not, try tying a knot in the end of the cord. If the drawstring channel is so big that your cord slipped out of your clothes hanger needle, it will probably be big enough to accommodate the knotted end. Finish the ends of your new (or old) cord with either a knot or a cord lock to prevent it from slipping out again. Shock cord (some call this bungee cord) is useful for clothing repair too. 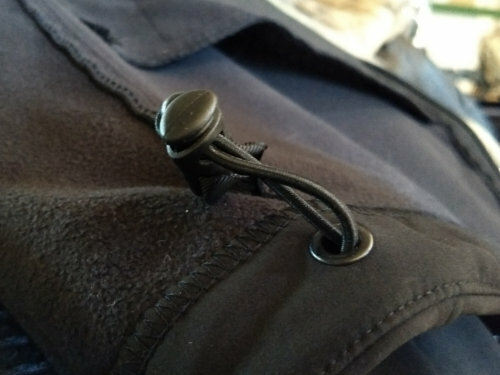 Coats and sweatshirts often have an elastic strap or bungee cord around the bottom, hood, or sleeves. Many backpacks have a cargo net made of similar cord. After a couple of years, those cords lose their elasticity or become brittle, causing them to crack and break. If they are not sewn into the hem of the clothing item, they can be easily replaced. 1/8" shock cord works for most of these applications, but we also carry a variety of other shock and elastic cord. These can often be replaced the same way as a drawstring. Just be sure to add a cord lock or big enough knot to the end so it doesn't pull through when cinched tight. 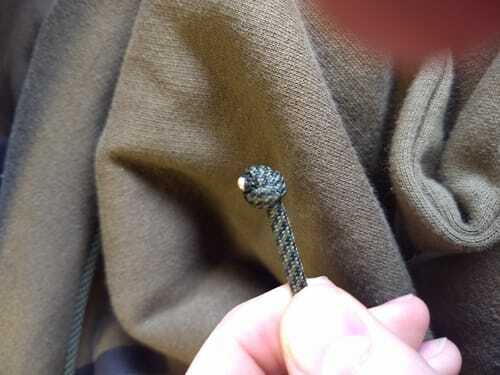 What clothing have you repaired with paracord? Shoe laces? A backpack? Let us know in the comments. We would love to see pictures of what you have made! Want to get more stories like this straight to your inbox? Subscribe to our newsletter!